The force has never looked so good Who knew Christian Louboutin was a Star Wars fan? To celebrate the release of The Last Jedi, the latest installment in the beloved sci-fi franchise, the famed shoemaker teamed up with Disney and Lucasfilm for a range of heels inspired by four of the movie's leading ladies: Rey, Admiral Holdo, Captain Phasma, and Rose Tico. The footwear is up for auction from now until December 20, and a portion of the proceeds will benefit Starlight Children's Foundation, which supports critically ill children in hospitals, on behalf of Star Wars: Force for Change. 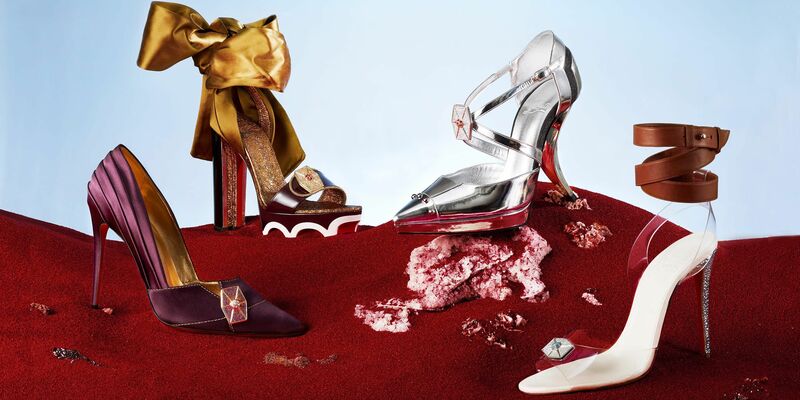 Although one pair of limited-edition Louboutins—signed by the designer and a Star Warsactress—seems like a big enough prize alone, there's even more included in the package. The bids currently range from $2,000 to $3,250, but the packages have an estimated value of $10,000 each. There's also an additional "showpiece" that will be added to the auction on December 9, after it's unveiled at the movie premiere. According to the brand, this shoe is inspired by the film and Louboutin's extreme Ballerina Ultima heel. Take a closer look at the limited-edition shoes below. Star Wars: The Last Jedi opens in theaters on December 15.